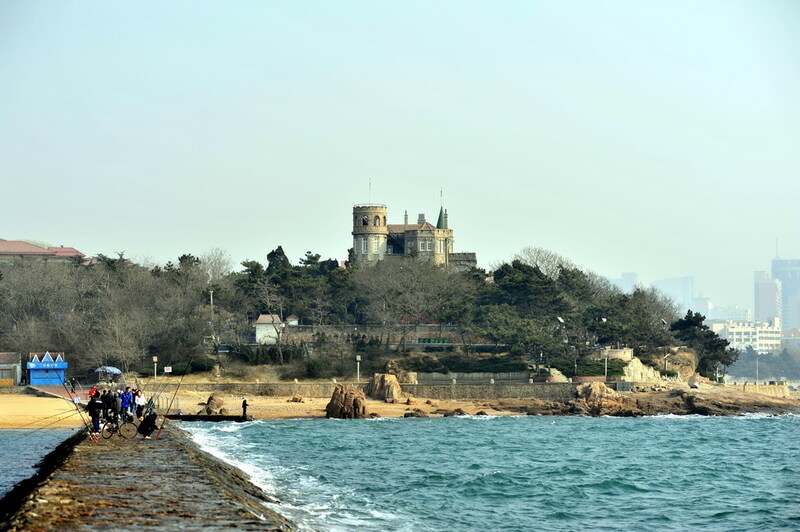 Qingdao (青岛), the coastal port city of in the eastern Chinese province of Shandong (山东省), is sometimes referred to as ‘China’s Munich’. This nickname is not just down to the German-looking Prince Hotel on the city’s pier, the Bavarian-style castle where Chairman Mao (毛泽东 Máo Zédōnɡ) stayed in 1957 or the railway station in its German Renaissance architectural style. It is very much informed by a beverage introduced by German and British tradesmen at the start of the twentieth century: beer. For Qingdao is today both home to the Tsingtao brewery (青岛啤酒 Qīnɡdǎo Píjiǔ) and a 16-day festival that is the closest thing that China gets to Munich’s Oktoberfest. The story of the Tsingtao brewery starts back in 1897 when the naval force of German Emperor Kaiser Wilhelm II laid claim to what was then the small coastal backwater of Kiautschou Bay (胶州湾 Jiāozhōu Wān). Conceded from the Qing Dynasty (清朝221-206 BC) to Germany in that year, Tsingtao (as Qindao was historically known) became the capital of Deutsch-China. 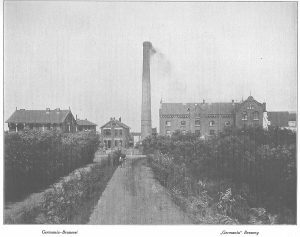 The combination of business-savvy German and British expatriates seeing a demand to supply German naval officers and soldiers with beer meant that it was only a matter of time before a brewery was founded. 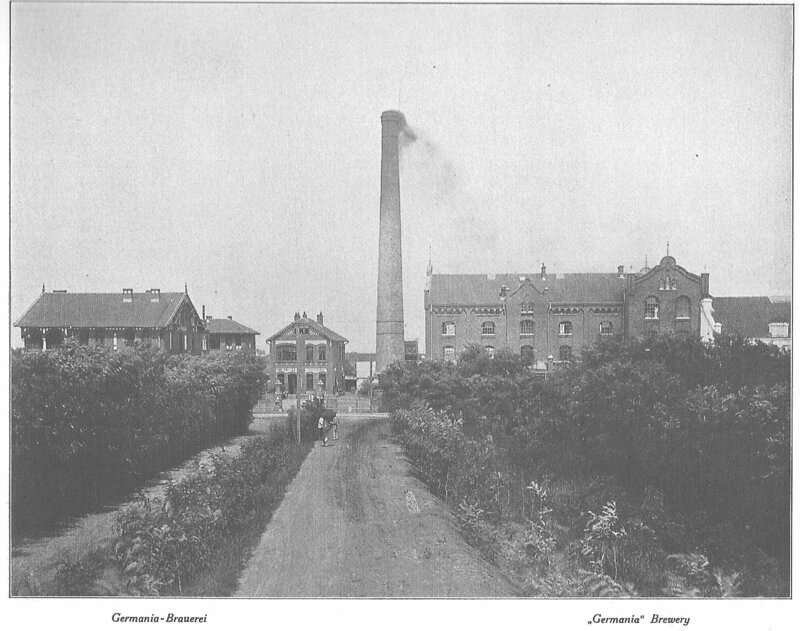 Just as with other empires keen to make a home away from home, the German officers would finally have their taste buds tantalised in 1903 by a beer that was made according to the German beer purity law, the Reinheitsgebot, in which only water, hops and barley are used in production. More than a century on since the local brew rolled off the production line, Tsingtao beer still uses water, hops and barley to produce its flagship crisp lager, described as having “a malty flavour and nutty sweet taste, which compliments spicy or flavourful Asian cuisine”. Yet some differences are apparent: it now imports many of its ingredients from much further afield: barley from Canada and France as well as yeast from Australia. 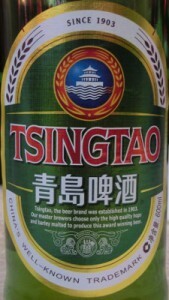 Though water from the local Laoshan Mountain (崂山) is still used and hops are brought in from western China, the brewers add domestically-grown rice to the mix, ensuring that the beer no longer adheres to the Reinheitsgebot; but its quintessential Chinese ingredients have made Tsingtao a Chinese beer as opposed to a beer that comes from China. The domestic and international nature of the beer’s all-important ingredients is also reflective of Tsingtao’s broadening global reach as a beverage that is not only consumed within China but also outside its borders. It was way back in the 1950s, shortly after renationalisation of private assets in China, that Tsingtao exported its beer to the United Kingdom. Despite being present on the British market for more than six decades, Tsingtao beer is not readily available on tap at many pubs to this day; instead, its main initial channel remains the Chinese restaurant market in the UK. Tsingtao marketing experts have since recognised the brand’s confinement within Chinese eateries and have started to pursue a strategy of sponsorship to increase brand awareness, specifically taking on the form of cultural marketing and actively sponsoring, for instance, Chinese New Year (春节 Chūn Jié) celebrations in cities, such as London and Birmingham, as well as sponsoring other Chinese events, e.g. the Dragon Boat Racing Festival (端午节 Duānwǔ Jié) in London in 2010. Whilst this cultural marketing has widened awareness, Tsingtao in the UK has some way to go before it reaches a kind of brand recognition value that it currently enjoys in other countries where Tsingtao is imported, e.g. in the United States. Ever since the 1970s, Tsingtao has been sold in America and claims in its online marketing to be “the best selling Chinese beer in the U.S”. Imported into the country by the largest beer importer in the US, Crown Imports, Tsingtao beer has achieved this impressive accolade by pursuing a different approach compared with just merely supplying Chinese restaurants. “Moving out of Chinatown to downtown” were the words that James Ryan, executive vice-president at Crown Imports, used in 2006 to underpin Tsingtao’s strategy for the future, especially one that is informed by the steady decline of Chinese restaurants across America. Moving out of Chinese restaurants and outlets to downtown has involved thinking about the American psyche and where and when beer is consumed. As a sporting nation, America consumes some of the highest quantities of beer annually during sporting fixtures, such as the Super Bowl or the National Basketball Association (NBA) final. It is perhaps no surprise, therefore, that Tsingtao negotiated an agreement to become the sole beer supplier at the Quicken Loans Arena, home to NBA’s Cleveland Cavaliers in what experts say is the first such agreement to be signed between a NBA team and a Chinese beer brand in the United States. Using cultural marketing and reaching key male sports-watching demographic are not just confined to widening Tsingtao’s international focus; they are employed as marketing approaches to advance the brand back at home in China. In 2008, the XXIX Olympiad was hosted in the Chinese capital, Beijing (北京); yet the sailing events were held on the coast in Qingdao, the home of Tsingtao beer. Seeing an ideal opportunity to use the Games to expose the brand to a domestic, even a global audience, Tsingtao submitted a successful bid to sponsor the Games. One of two domestic beer sponsors of the Olympics, it cleverly associated its own logo with the five Olympic rings. Since those Games, Tsingtao has called upon leading Chinese Olympic athletes as promoters and spokespeople for the brand – from the gymnast Chen Yibing (陈一冰), the hurdler Liu Xiang (刘翔) or the basketball player Yi Jianlian (易建联). Cultural marketing is a core component of Tsingtao beer’s marketing strategy domestically. 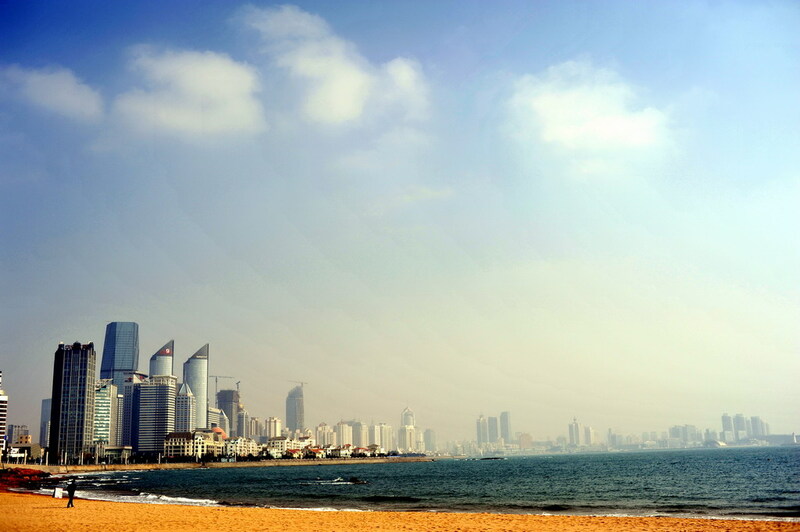 In August 2013, the twenty-third Qingdao International Beer Festival (青岛国际啤酒节 Qīnɡdǎo Guójì Píjiǔ Jié) took place in the home city of Tsingtao beer. Here, too, Tsingtao was one of the sponsors of the event, also managing to persuade the organisers to extend the beer festivities to Dengzhou Lu (登州路), the home of the original Tsingtao brewery in Qingdao’s Shibei district (市北区). Having the beer festival hosted in China’s beer city of Qingdao does much for brand awareness, especially as the event attracts something in the region of four million visitors to the Beer Festival each year. However, the increasing presence of beers, such as Becks from Germany, Asahi from Japan, Carlsberg from Denmark and Heineken from the Netherlands at the Festival goes to show what Tsingtao is up against in the future: an increasingly competitive beer market with new brands entering the market. Tsingtao beer has come a long way in a history that spans over a century. Starting out as a local brew in a rural coastal backwater to provide a kind of home away from home for German naval forces, it is now one of China’s leading brands in a city of over two million people. The brand is recognised domestically and increasingly overseas through an advertisement strategy that blends cultural marketing with sports advertising. In advertising through these channels, it not only attempts to speak to its traditional customers, but ultimately seeks to win over new customers in a fiercely competitive market, both at home and abroad. Only time will tell how successful this marketing strategy is; yet a measure of its success will surely be how Tsingtao retains its market share with ever increasing foreign brands entering the Chinese beer market in the years and decades to come. This text first appeared in Global China Insights (Groningen: Groningen Confucius Institute), Nr. 2 (December 2013), p. 18–20.